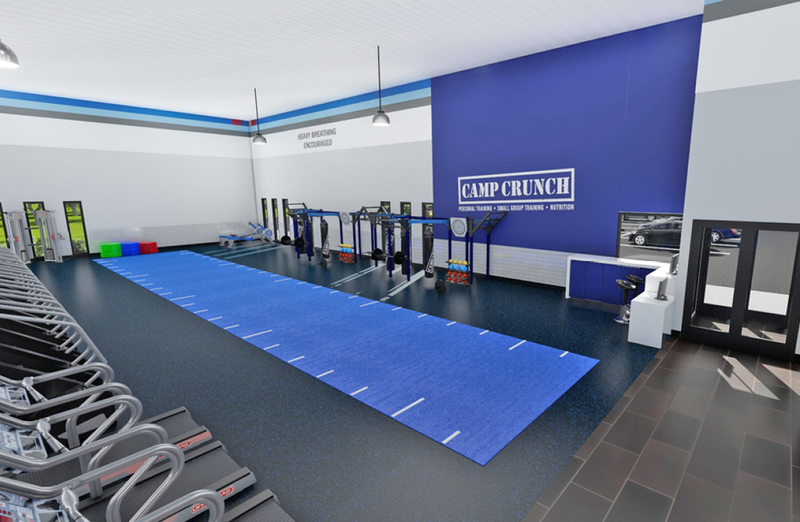 Crunch, a franchise that offers group fitness training programs, today announced it has opened a 30,000-square-foot gym in Dearborn at 5601 Mercury Drive (near Ford Road) in a former Borders Books and Music space. The company plans to open a location in Farmington Hills in the coming weeks (24900 Haggerty Road). Crunch features cardio and strength training, half-hour circuit training, a functional indoor training area with 120 feet of turf, tanning beds, HyrdoMassage beds, and spin classes. Each new member will receive a kickoff season with one of the gym’s certified personal trainers. Members seeking extra motivation or help can use the HittZONE, an interval training program that gives members the opportunity for a workout in a group format. Group fitness programming offered by Crunch includes BodyWeb with TRX, Zumba, Cardio Tai Box, Yoga Body Sculpt, Fat Burning Pilates, and more. Crunch works to fuse fitness and entertainment. The company is headquartered in New York City and has more than 1.2 million members at more than 250 gyms.